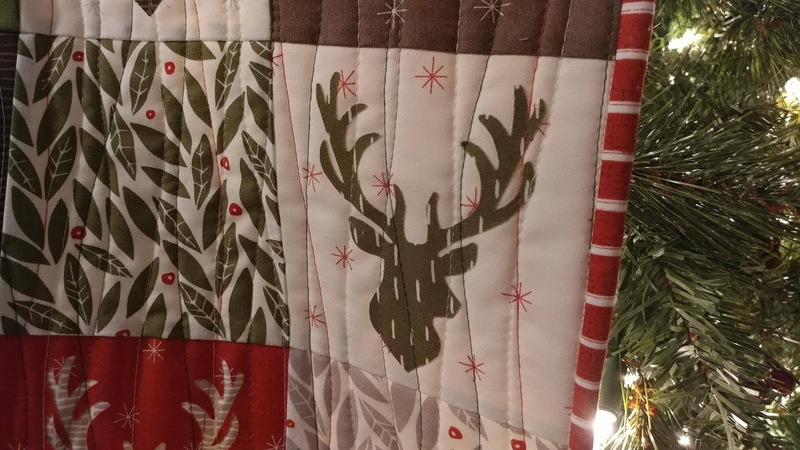 Slice of Pi Quilts: Merry Moda Christmas! 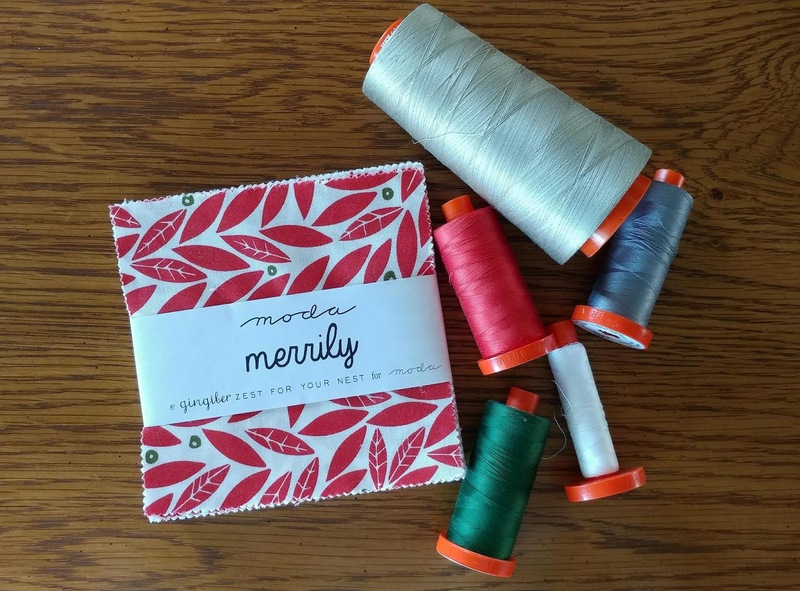 I picked the Merrily charm pack that I bought this summer when vacationing in Minnesota and a handful of coordinating 50wt Aurifil threads (#2605 Grey, #2021 Natural White, #2892 Pine, #2255 Dark Red Orange, and #2324 Stone). 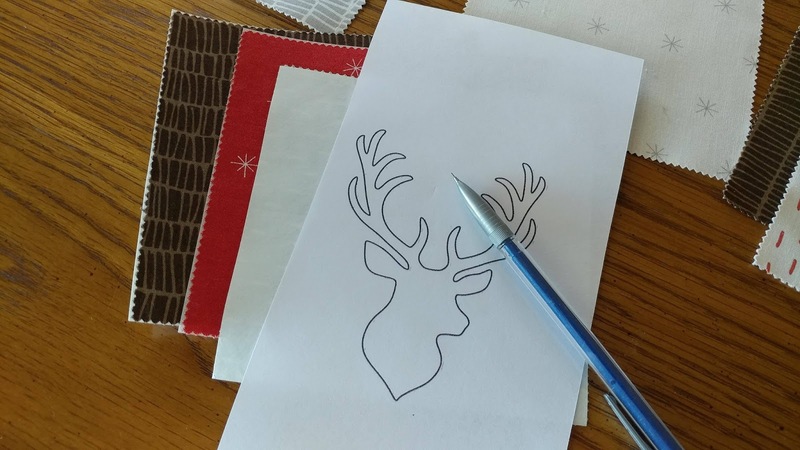 I searched the internet for a "deer outline" and printed one that I liked so that it was 4" tall. 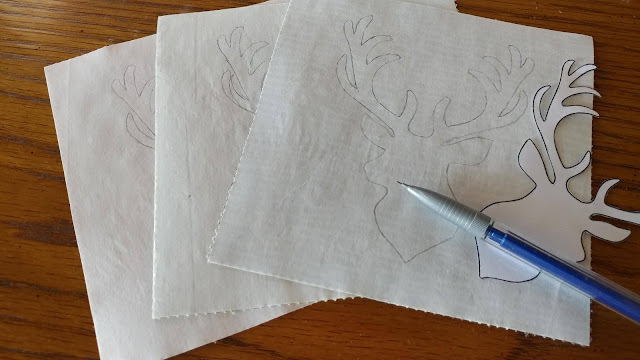 I pressed Heat-N-Bond Lite to the back of three dark colored charm squares from the pack, then traced and cut the deer silhouette from the charms. 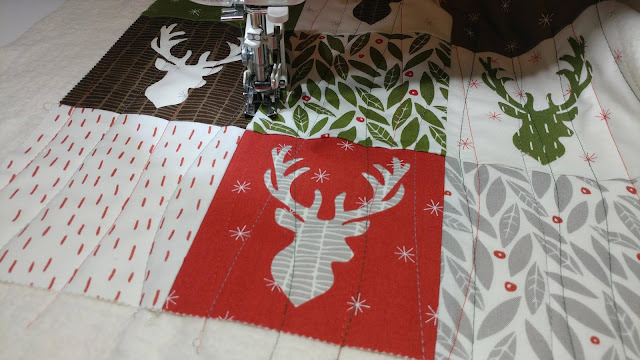 I was careful not to make any errors when cutting and did not cut from the edge so that each resulted in whole deer pieces. I then pressed both the positive and negative fabric cutouts onto light colored charm squares from the pack. I arranged the deer blocks with some plain charm squares into a 3 x 4 layout and stitched them together using 50wt Aurifil #2324 Stone. 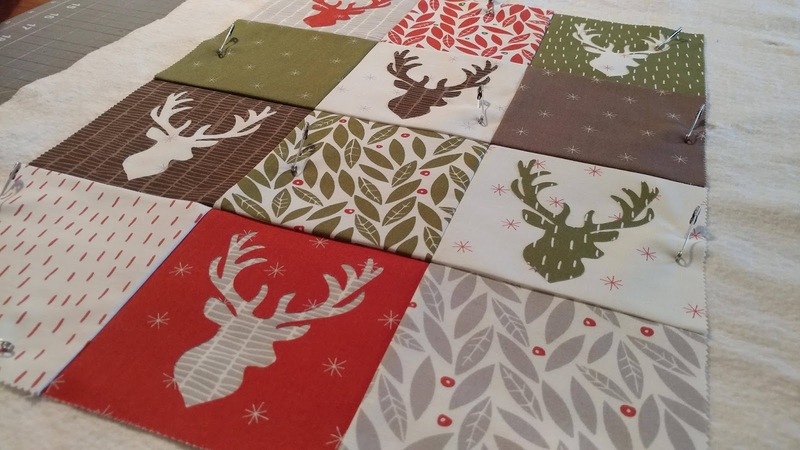 Once sewn together, I pin basted the quilt top with Warm 100 batting by The Warm Co. and a fat quarter of gray dots from the Modern Background Essentials collection by Brigitte Heitland for Zen Chic for Moda that I had in my stash. I switched to my walking foot on my Juki TL-2010Q and started in on the quilting using the "Squiggles" design that I learned about from Christa Watson in her Piece and Quilt with Precuts book. I love the texture it creates, and it's a forgiving design that doesn't have to be perfect! I used four colors of Aurifil for the quilting (Grey, Natural White, Pine, and Dark Red Orange). I did not applique or stitch around the deer. I made the quilt to be a wall hanging and don't plan to wash it, so I decided it would be okay to leave the pieces ironed on as is. 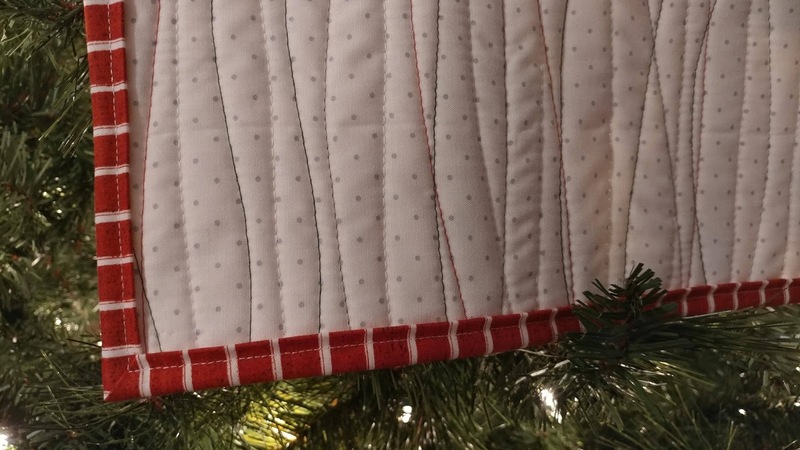 I used a red stripe from the "Hidden Cove" collection by Windham Fabrics from my stash for the binding. I used 2 1/4" double fold binding again - it's definitely becoming my default size now instead of 2 1/2". The quilt finished about 14" x 18 1/2". 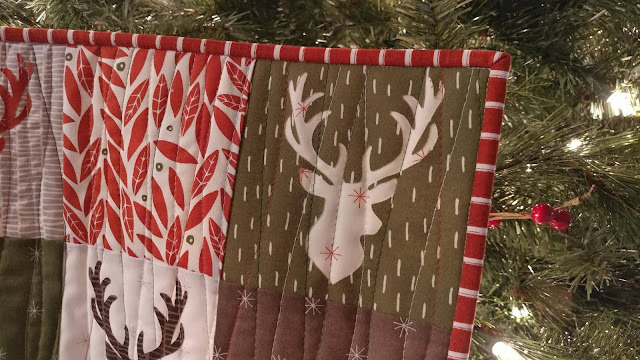 This is my 40th quilt finish for the year! I love how this mini turned out! It's going straight on the wall for Christmas! 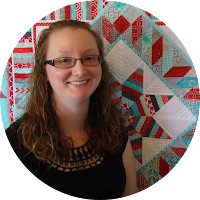 Hopefully my mini is randomly picked as the winner so I can get even more Aurifil thread! UPDATE: I didn't win this contest, but I'm still very happy with this mini! 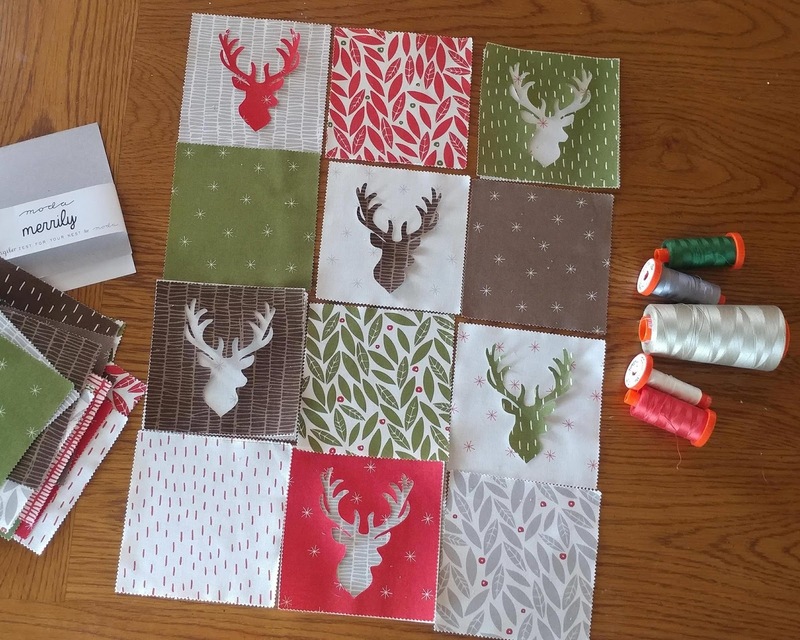 I'm already planning a throw quilt using the same design! I am in awe! Two spectacular quilts in 2 days both started right before the deadline! 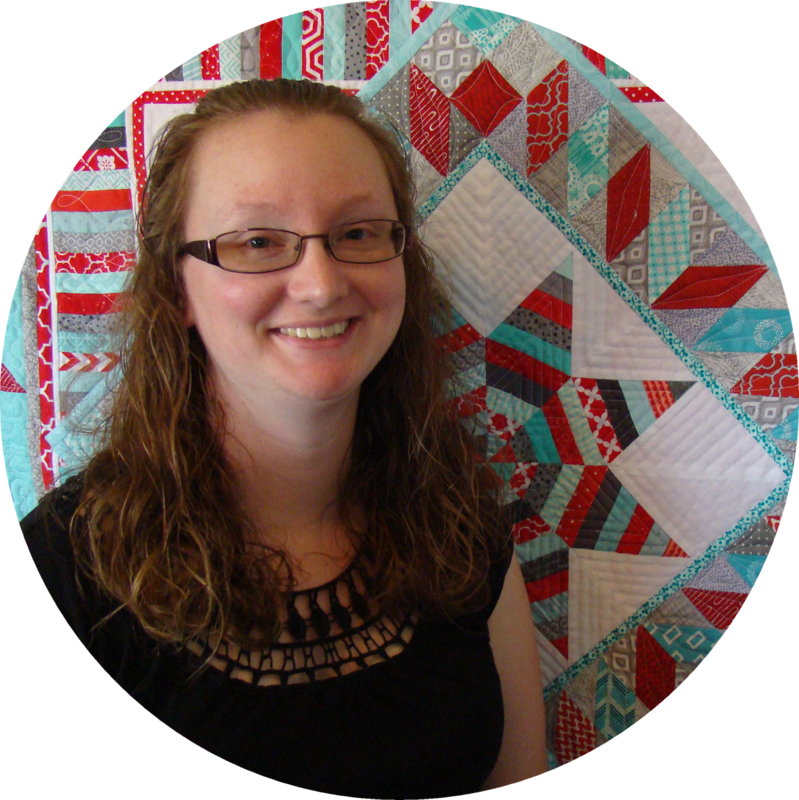 Are you a bionic quilter!? What is your secret for so many creative and fun finishes?!? I love this! You did a fabulous job. I'm in awe of how quickly you put it all together. Good luck! Wow! I am so impressed when people can work well under pressure of a deadline (that is sooooo not me). It turned out great; good luck! It's so great! I hope you win. Very cute! 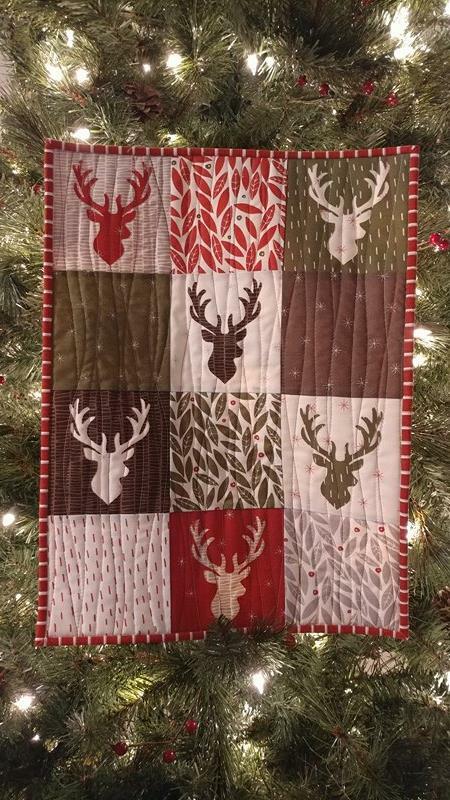 I may have to make a mini - in baby size..... only because I am on a baby quilt making spree! Grand baby coming any day! A great wall hanging and done so quickly. Hope you are a lucky winner. 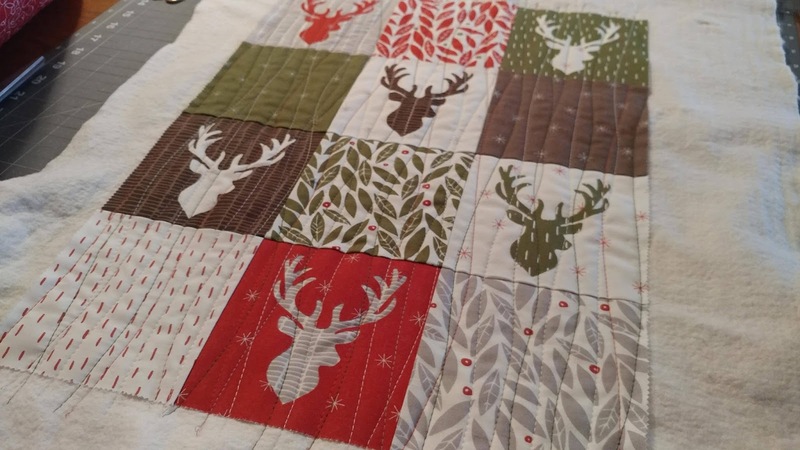 You create and sew so well under pressure and I'm just loving this mini quilt. I love the squiggle quilting which I was planning to do for my next project. Good Luck with the challenge. I'm enjoying your blog, particularly the way you document your process. Keep up the good work.